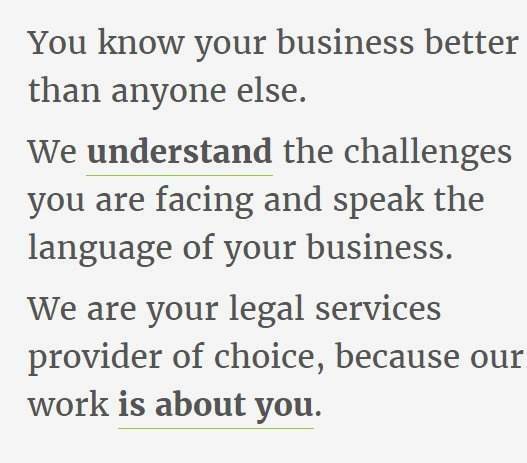 As such, you understand and appreciate the value of expert legal advice, tailored to your own needs and provided by people who actually speak the language of your business. You provide outstanding services and products to your own customers and expect the same from your providers. You expect your legal advisers to be responsive, effective, quick and reasonably available.You are experienced enough to know the right price of such valuable legal advice, but you have a responsible approach when it comes to your legal expenses budget. If this is you, then choosing Ionescu si Sava as your legal services provider makes sense. Because we speak your language and understand the challenges you are facing. Because we strive to know everything about our profession and about your business, and go beyond that, constantly innovating and taking new approaches to new or old challenges. Because we believe long-term partnerships with our clients are key to better results in our work – and we take pride in our ability to develop and maintain such partnership. Because our work is ABOUT YOU. At Ionescu si Sava we believe in partnership. In strong, long-lasting relations that are based on trust, on fresh perspectives, on reaction-speed and efficiency. We are striving to grow such relations both with our clients, as well as within our own team. We have been working with Ionescu si Sava since the set-up of our direct operations in Romania, back in 2007. During our collaboration, I have been impressed with the exceptional quality and the extended range of services they have provided, as well as their responsiveness, forward-thinking and understanding of the specific needs of a business undertaking. I also have to add that their litigation track-record on behalf of our company is impressive. Ionescu si Sava proved their true value as our attorneys when the sector was severely hit by the global economic downturn. Sure they've been great in helping us with starting off, financing and developing the projects, but they have definitely been a great helper through the worst part of the crisis. In a fast-changing environment, a company needs to rely on strong and innovative legal assistance, and the team at Ionescu si Sava delivered just that, both on general business, corporate and tax legal issues, as well as on the specific needs of large real estate development projects, including litigation. Having worked with Ionescu si Sava for my previous employers, since as early as 2005, they were a logical choice when I took over my current position, considering their in-depth knowledge of the legal environment in the field of pharmaceuticals, and the reliability of their work. I particularly value the ability of the members of their team to understand the financial and accounting peculiarities of the pharma business and to consider such peculiarities when providing legal services. As the head of legal and compliance function at [our company], I have greatly benefited from the quality and thoroughness of the legal advice provided to us by Ionescu si Sava, be it in compliance and regulatory field, tax and corporate matters, or in debt-recovery and bankruptcy issues. As a new entrant to a very competitive market, we have greatly benefitted from the expertise of Ionescu si Sava in the field of corporate, tax and pharma-specific legislation. Their input has been essential in the design of our local corporate structure and we are looking forward to a long and successful collaboration with them. When we entered the Romanian market, our first transaction was structured in a manner virtually unknown to the market until that point. For this reason, the real estate team at Ionescu si Sava was essential in structuring the deal and making it understandable to our Romanian counterparts, as well as covering all related regulatory and tax issues. Thereafter, they were and continue to be instrumental in the development and commercialization of our projects, as well in several M&A and infrastructure deals in which the companies from our group were involved. Building up training programmes is a constant concern of Ionescu si Sava that is fuelled by the insufficiencies in the training of young law school graduates for the fields that we activate in. We view our training programmes as a two-way street: raising awareness among students on the challenges they will be facing after finishing law-school, and a good investment in the future of our team. Our insolvency branch. Find out more.